I have enough shower gel to open a shop yet I can't stop getting any more! 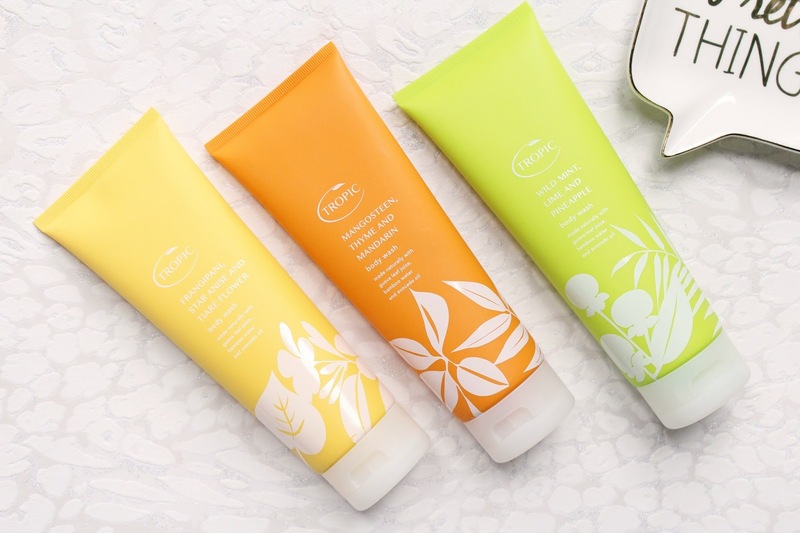 Tropic is a fairly new brand to me and while I am currently testing out one of their skincare products, I have been loving these shower gels! I have to say that all three of these smell amazing and I have been alternating between the three every morning but my favourite has to be Wild Mint, Line and Pineapple! To me, it smells like starburst and I just can't get enough of the scent, it is perfect for summer too as it has a refreshing scent element to it! I love the packaging of these body washes too, they are in slightly taller bottles than many of my shower gels so they actually take up less room in my storage unit. Each of the bottles has a cute floral or nature kind of illustration on the bottle and a different colour to match the theme of each scent. Each of the shower gels squeezy tubes has a matte finish. These shower gels have a nice lather to them and leave the skin feeling cleansed but not dry. I do really love the scent of these but I don't find them to linger too much on my skin personally. If you could only get one, I would highlight recommend the green one, I just can't get over the scent! 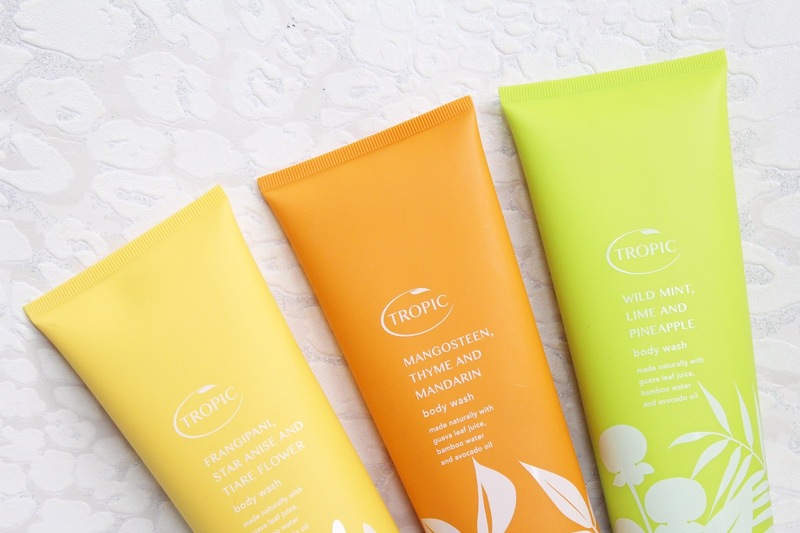 The Tropic Body Washes retail for £10 each - HERE.